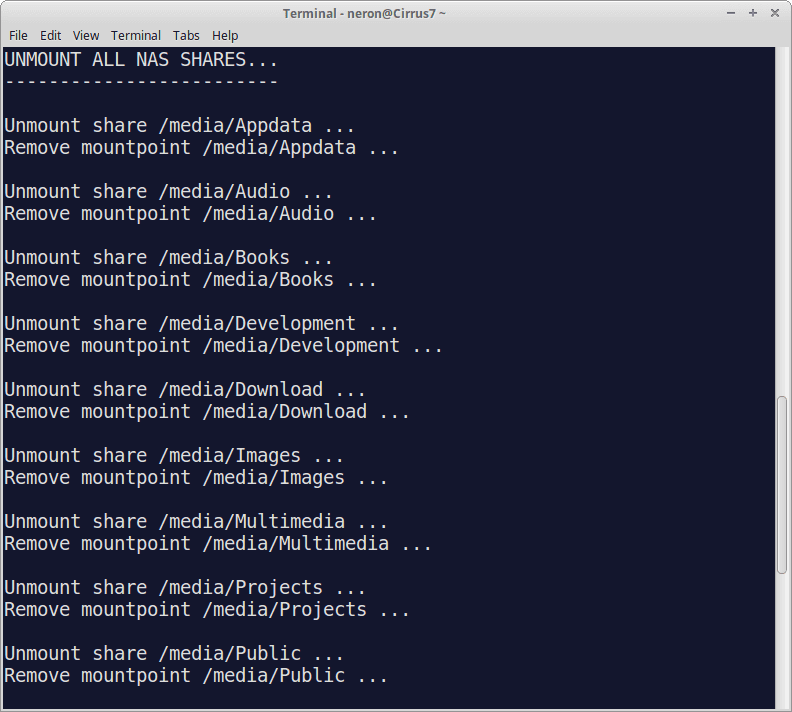 The PBmount scripts (Bash) can be used to mount or unmount a list of NAS shares. Different options can be specified in the configuration section of the scripts. Copy the directory pbmount to your computer. Be sure that the scripts are not available for everyone because of the passwords! Open the two scripts in your favorite editor and customize the configuration sections. Make the two scripts executable (chmod +x). 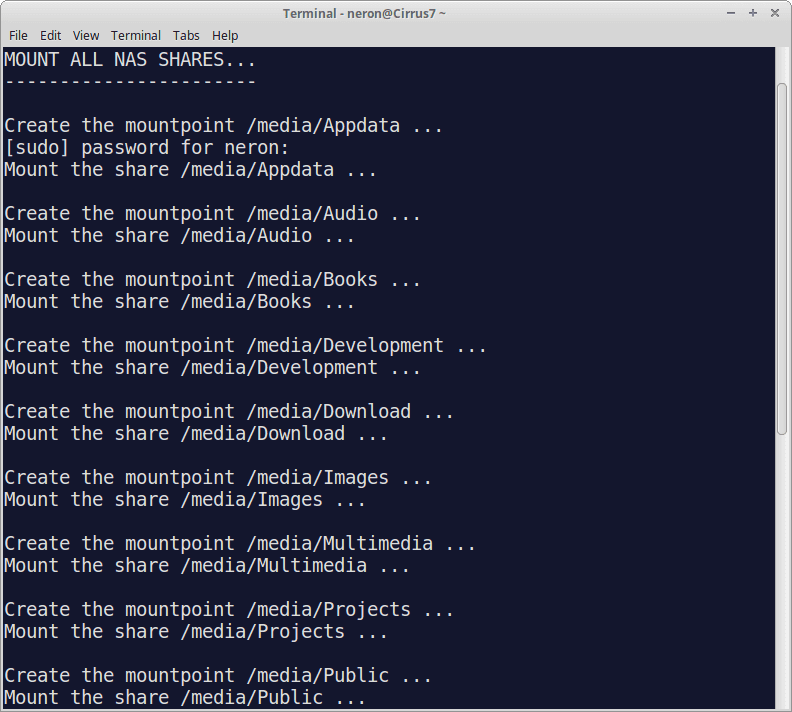 The script mount_nas.sh is used to mount NAS shares. The script umount_nas.sh is used to backup unmount NAS shares. Use the scripts from the command line. The PBmount scripts are licensed under the MIT License (Expat) which is published on the official site of the Open Source Initiative.